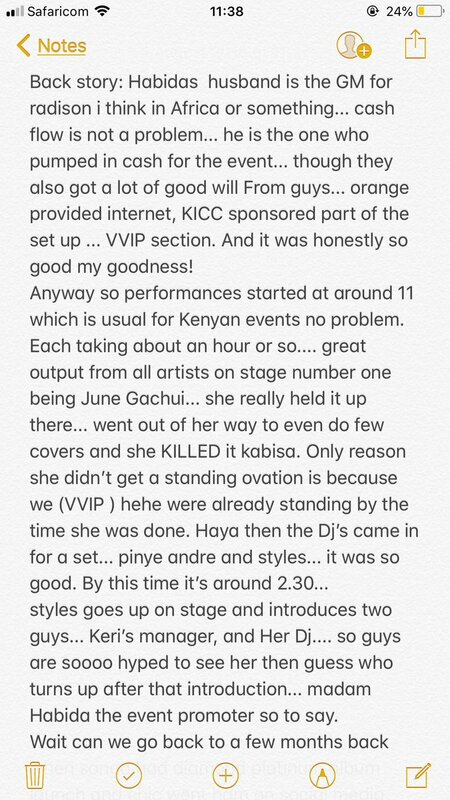 Concert goers claim that they witnessed the worst performance ever staged on Kenyan soil courtesy of Habida who played the death of the party right before the main act hit the stage. 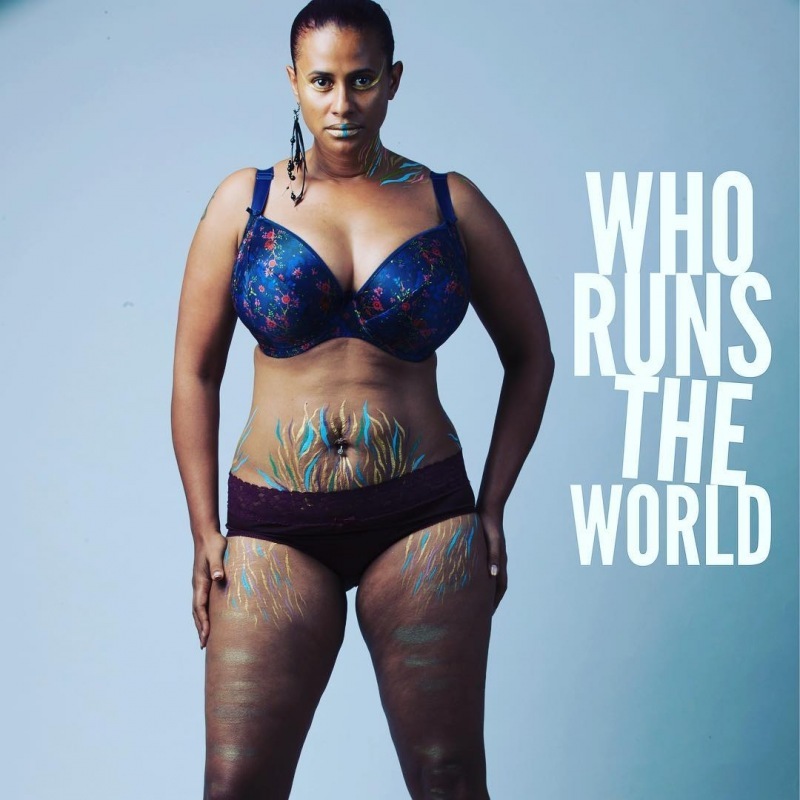 Habida who has only released one successful song in collaboration with Nameless almost a decade ago took advantage of the fact that her husband had organized the Keri Hilson event to install herself as the curtain raiser for the event. Her performance was so bad the audience booed her off the stage. To make matters worse, Habida continued to perform for close to an hour oblivious of the fact that she was unwanted in her husband's event. 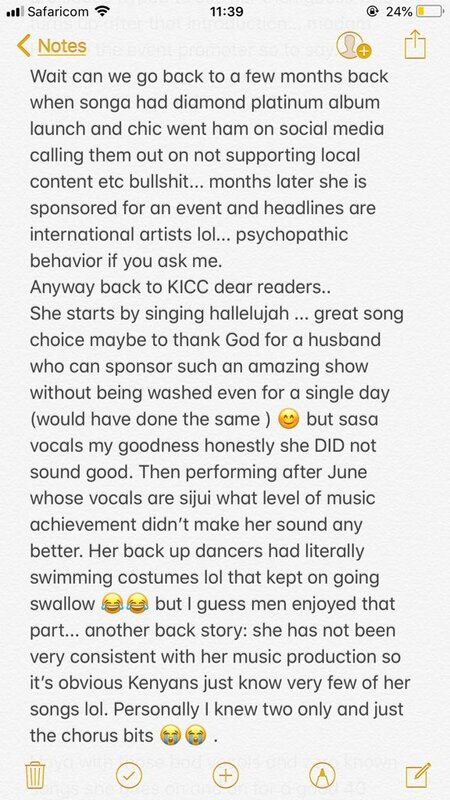 We are made to understand that Habida did not have time to prepare for the performance and has been rusty over the past years after taking a music break. Many have suggested that she "goes back to the hiatus that she came from" because she is better off there. 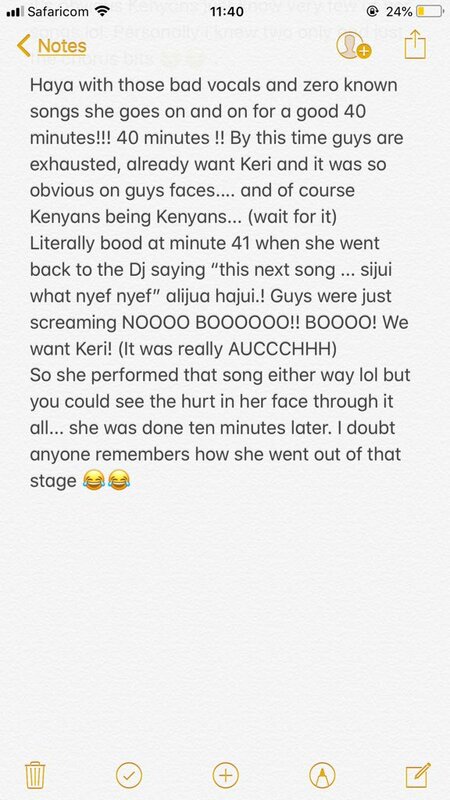 Here is a blow by blow account of her disastrous performance as narrated by an unnamed party goer who was present at the event that could have been a total success had Habida not decided to force her terrible voice down people's throats.